My husband is scheduled to come home tomorrow. He will have been in the hospital for 33 days. I usually bring him dinner every night but today he told me to take the night off. He thought he would cut me a break since it’s his last night there. But I ride right past the hospital. I can see it from the highway. There was no way I could go home without stopping to see him. He was pleased to see me. It made the visit so much more special since it wasn’t expected. Tomorrow we start the next chapter. We will have to change things around in the house to accommodate the walker and wheelchair. The dogs will be freaked out for awhile. But they will adjust. We all will. I was going to post a photo of the long hospital corridor I walk down when I leave but it is a desolate place. 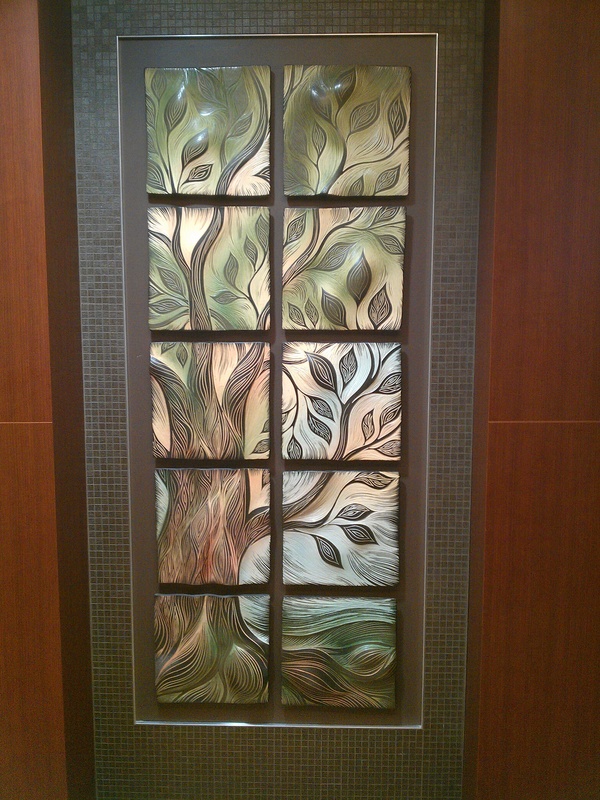 Instead, I want to share what I see when I get off the elevator at the rehab unit. It symbolizes growth and life. And that’s where we are heading. This entry was posted in Daily Life, Gratitude, Love, Marriage, Uncategorized and tagged hospital, Husband, Love. Bookmark the permalink.